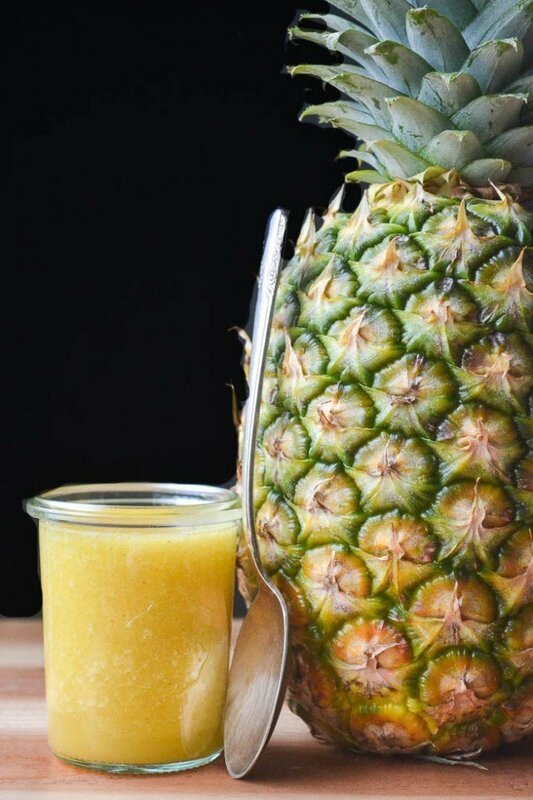 At the first sign of a cough or sniffle, skip the trip to the corner drugstore try this All Natural DIY Pineapple Cough Syrup ~ it really works! Give the pineapple a rough chop, including the core, which is not only edible but particularly healthy. Blend everything up in a blender or food processor until smooth. Use as is, or push the mixture through a mesh strainer to get a smoother syrup.